Product prices and availability are accurate as of 2019-04-23 15:19:58 UTC and are subject to change. Any price and availability information displayed on http://www.amazon.co.uk/ at the time of purchase will apply to the purchase of this product. Will not light up in daytime and immediately light up in nighttime. No wire and low voltage, stylish in design and safe for use. 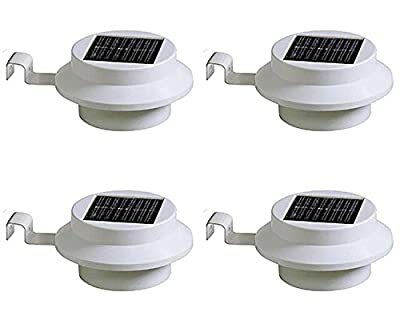 It can be installed under the roof or fixed on the fence in your garden.Will not light up in daytime and automatically light up in nighttime. Solar panel absorbs sunlight into electrical energy stored in rechargeable battery.No wire and low voltage, elegant in design and safe for use. Suitable for walkways, driveways, gardens, landscaping, outdoor parties, and pathways and a great buy for home owners, landscapers, garden enthusiasts,etc. Brand new and high quality. This solar power 3 LED fence light is very popular and green, energy-saving. This solar fence light gives you a good view and safety of your garden at night. 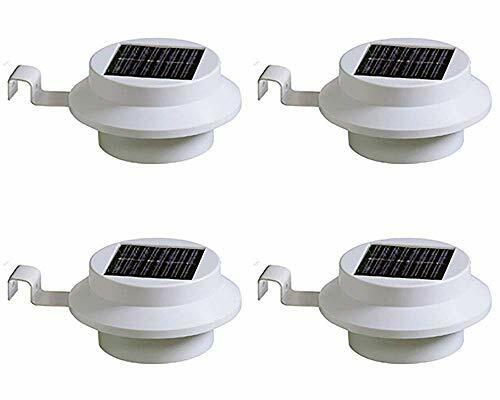 Solar powered, easy to install and easy to maintain with detachable solar panel and LED Lamp body to the supporting cover.